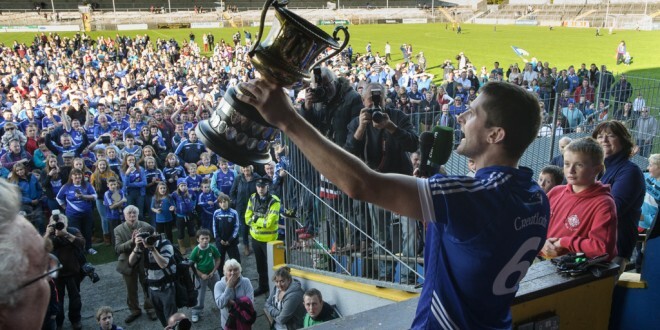 Fears that champions Cratloe would be drawn against Kilmurry-Ibrickane in round 3 of the senior football championship weren’t realised when the draw was made at GAA headquarters in Clareabbey on Monday evening. A repeat of three first round games was possible when club representatives attended a meeting of the CCC where the draws took place. At the outset it was confirmed that there was no stipulation preventing repeat pairings. Title holders Cratloe, surprisingly beaten by Cooraclare on Sunday evening, were first out and they will face St. Senans Kilkee on Sunday week. Kilmurry-Ibrickane were drawn to play Ennistymon is what is already being billed as the tie of the round. The maroon and white colours will be evident when St Josephs Doora-Barefield face St. Breckans as both wear these colours. Lissycasey, another club whose colours are maroon and white who are fresh from their merited, if surprise, win over Eire Og will take on O’Currys on Saturday week in Cooraclare. The pairings in the relegation play off are Doonbeg v Wolfe Tones and Eire Og v Shannon Gaels.